Want a Safe and Relaxing Bathroom? We Can Make It Happen. There are few things more relaxing than drawing a bath, melting away the cares of the world and giving yourself the time you deserve. What should be a soothing experience, however, often gets impeded by concerns of slips and falls. When it’s time to unwind, these issues should be the furthest thing from your mind. That’s where Bliss Tubs comes in. 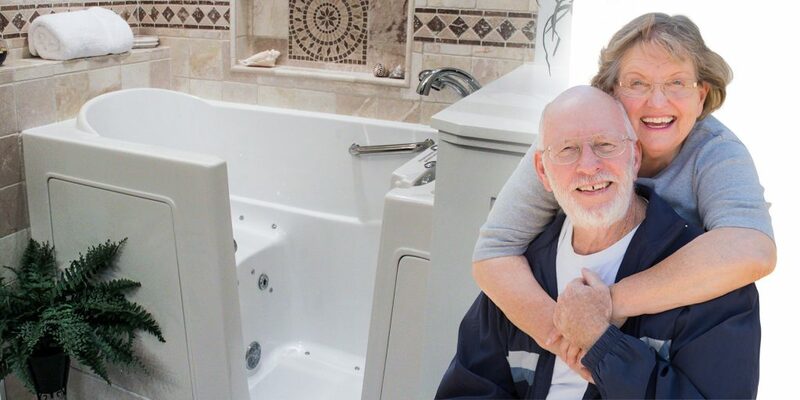 We understand that seniors and those with reduced mobility often feel uncertain in the bathroom. With most falls in the home occurring here, moving in and out of a standard-size bathtub isn’t only inconvenient, it can be dangerous. We hope to restore your confidence and peace of mind with our walk-in tubs’ low threshold. The in-tub grab bars and nonslip floors also provide steady support to help keep your balance. Our water-tight door seal also means you won’t have to deal with a wet bathroom floor. Our ADA-compliant high seats also make it easier to settle in and get up once you are finished. The ease of maneuvering in and out of your walk-in tub will make stress a distant memory. Your bathtub should fit your needs. A Bliss Tubs walk-in tub can make your bathroom feel as welcoming and accommodating as it has ever felt. Relieve stress and feel the health benefits as you soak in the serene water or massaging bubbles of your walk-in tub.